Quartz, Pecos Diamonds. Pecos River, SE New Mexico, USA. "Pecos diamonds" are double-terminated quartz crystals which were formed inside gypsum outcrops of the Seven Rivers Formation. 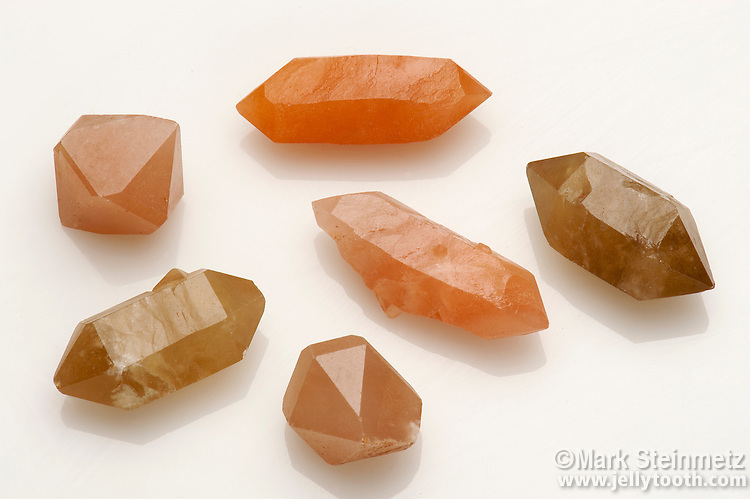 The crystals vary in color from white to yellow to red to brown to nearly black.